Neels Castillons short ARTE POETICA is our FILM OF THE MONTH MAY 2016. He kindly answered some questions via E-mail. Poetryfilmkanal: How did you come across the original recording of Jorge Luis Borges? And what does he mean to you? Castillon: I discovered Jorge Luis Borges’ work in Buenos Aires in 2011 and was particularly touched by his poem Arte Poética. When I googled him later, this recording came up on YouTube and it felt like the perfect track to start editing footage I had from South America. I loved the fact that it is actually Borges’ voice because it takes knowing a poem to be able to read it and recite it with the right rhythm and tone. I don’t think I would have been able to direct a Spanish speaking actor, given that it is not my mother tongue. It is also quite touching to think that through this recording, Borges is escaping from this »river made of time«. Do you consider the poem Arte Poética as a poetical program for your own work? I don’t know if I can speak about poetical program but what I like about this poem and Borges’ work in general is that he gives readers the chance to interpret his pieces in their own way, his art challenges imagination. The evocative power of his poetry fascinates me. Arte Poética was my first short film and Borges’ work truly helped me understand that you can associate various unrelated images at editing to still create meaning and emotion. 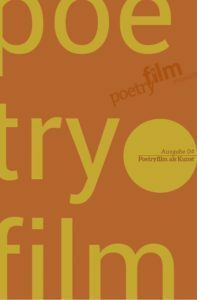 If we see novels as feature films, then short films freed of all narrative constraints can be assimilated to poems. So poetry is a real source of inspiration. You traveled through North America as well as South America. As a photographer where do you see the differences between both continents? I spent more time in South America than North America. The obvious thing is that the south American lifestyle is more suited to reverie and contemplation which suits me better. That being said North America is still visually amazing and ever-present in our collective imagination. I must admit that travelling in general is a great source of inspiration for me. I just recently came back from Kuwait for a documentary shoot and despite the cultural differences I think I managed to capture something of the atmosphere in this country. In your videos sound and music play a big role. For Arte Poética you worked together with Yann Rouquet. How did this collaboration come about and how were you both dealing with the relationship of image, text, and music? Yann Rouquet is a very close friend in addition to being an amazing composer. We always have conversations about music and movies in general. We have a lot of similar influences and we have a common desire to make the same type of films. We start thinking about sound effects and music very early in the process and go back and forth quite a lot for every step of production. What are your current projects? What are you working on? Neels Castillon is a 28-year-old film director and photographer, based in Paris. He is also co-founder and creative director of Motion Palace. The artist thanks Julia Gausseran for her help with the English translation.